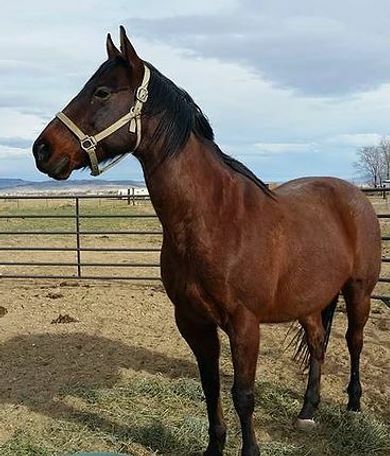 Rico is a big 16+ hand gelding who is believed to be a Quarter-Draft horse cross. ​ Rico halters, stands, leads, and is good for the farrier. Rico is broke to ride but has navicular so he can only do light trail rides. Rico was rescued from auction and was badly abused by previous owners. He will need extra time and patience to warm up to new people. Rico is a big 16+ hand gelding who is believed to be a Quarter-Draft horse cross. Rico halters, stands, leads, and is good for the farrier. He has been worked with on getting better with his head shy issues but he does still react if you move your hand quickly around his face, especially on his left side.